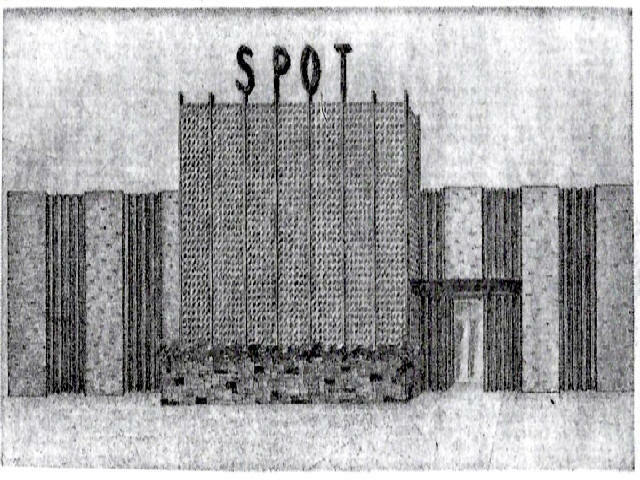 Artist’s conception of how Spot Lanes was designed to look after its 1963 remodeling. to Huntington in 1918 after he served in the U.S. Navy during World War I.
and at one time operated a garage and a dry cleaning business. 20 years before selling it in 1960. He died April 10, 1963.
anodized aluminum screen. Inside, all 16 lanes were replaced. Huntington Theater Corp., headed by Jack Hyman. Spot Lanes closed July 1, 1972, and was converted into a retail furniture store. the building underwent extensive remodeling. In the years since, the building has been occupied by a number of different businesses. Note: This Article and picture appeared in the Herald-Dispatch Newspaper on March. 11, 2019.